In April 1944, an allied agent is sent to France in order to rescue an "overlord" captured by the Germans. (An "overlord" is one of the few men who know the date and place of the "D" day). To achieve this goal, he will be supported by a secret friend of the Allies, a very important German officer and the French resistance. But the SS is not resting... "Code Name Emerald" is one of my favourite war films. Obviously it never actually happened (unless it's on one of those "not to opened until..." type files, which would be found to be empty at the designated date), but it could have. The depicted rehearsal for the landings did actually take place on the south coast of England, and was somewhat of a disaster, and in which there were quite a number of American GIs killed. If one "Overlorder" (i.e. 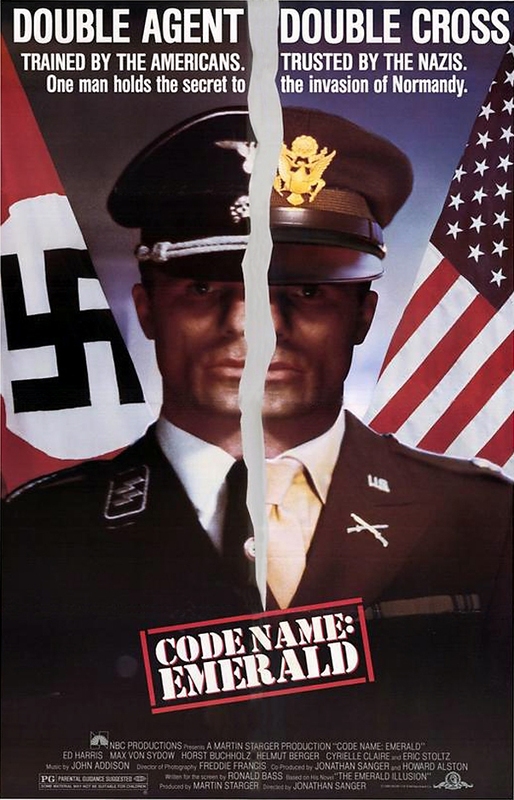 someone familiar with the plans of the forthcoming D-Day landings, code name "Operation Overlord") had been captured at that time, imagine the panic of the top brass. Three years of meticulous planning gone up the Swanee. In this movie one was, which is the basis of the story. The nasty Nazis have got their Teutonic hands on an Overlorder a certain young "Lootenant" Andy Wheeler (Eric Stoltz). The good guys have to either rescue him or kill him before he blabs. End of plot. But will poor Andy live or die? What could have become a "Boys Own" piece of hokum, turned out to be quite an interesting cleverly crafted movie, nicely underplayed by good experienced actors, with Ed Harris at the fore. War film critics of a purist nature will probably pick holes in it, and find mistakes all over the place, but I found none. Mind you, I enjoy the movie that much, I've probably never looked for any. The problem of this film, like of many others of the same kind, is, that the further away in time you get from the second world war, the more the plot and the film must be almost painfully discernible as contrived and artificial. Reconstructing reality must be more difficult and appear less convincing the further in time from the reality exhibited you get. This is a very good story and very intelligent plot, the actors are all superb, especially Ed Harris, here young and fresh with many great roles ahead of him, and Max von Sydow as the honest German officer. Also Horst Bucholz is doing well like all the others, and of course Eric Stoltz as the prisoner. 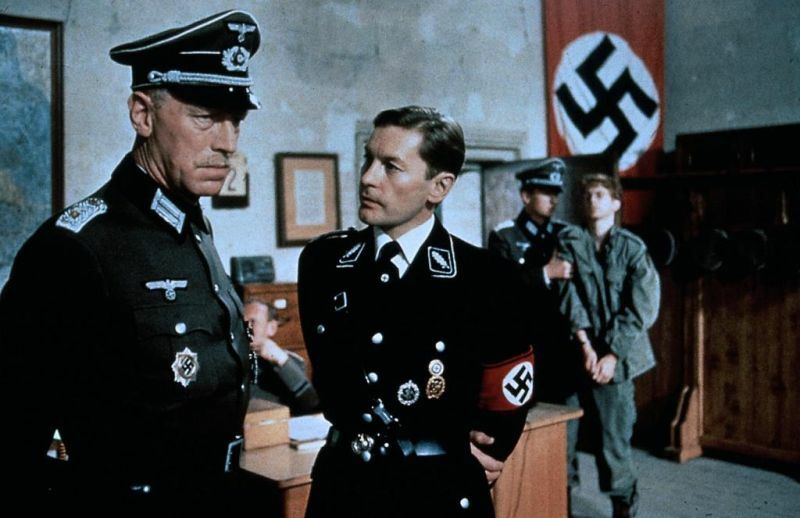 Helmut Berger adds an appropriate portion of nastiness as a very convincing fanatical German Nazi, in some ways he makes the deepest impression in his radiance of constant extreme but well controlled menace, and Cyrielle Clair provides the necessary female bit. In spite of the obvious artificial construction of the plot and story, it is well worth seeing and rewarding indeed for those in chase of excitement, and for those who love Paris. It is all filmed in Paris and France.